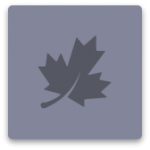 The Wildfire Analyst™ Pocket Edition application provides the wildland fire community with operational fire behavior tools for use in the field. It is built to perform calculations in the field based on observed conditions providing the critical information necessary for decision making. 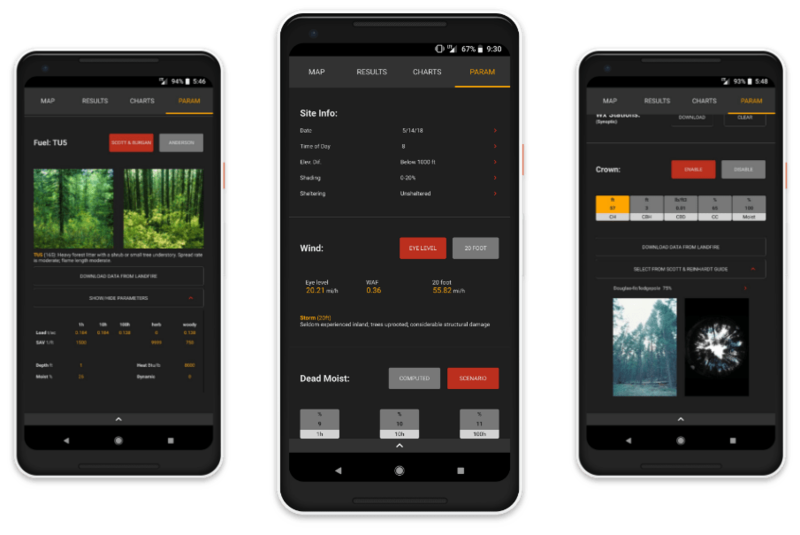 WFA Pocket is a mobile app that embodies the latest wildland fire behavior science into a robust tool for the firefighter and Fire Behavior Analyst. 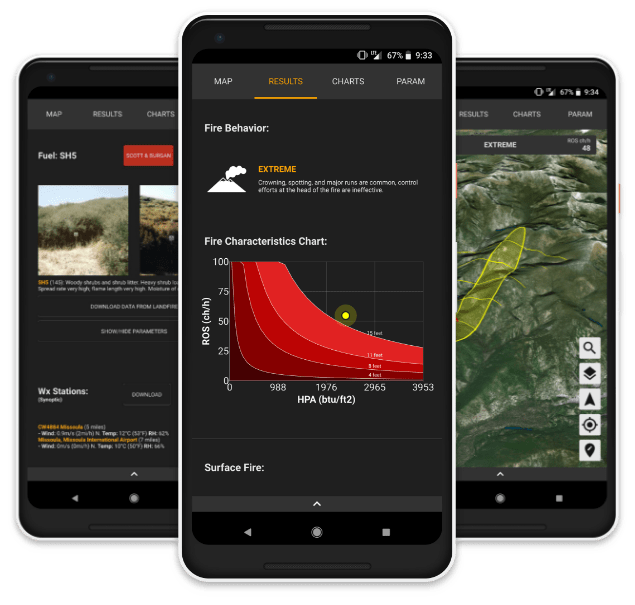 Leveraging the science developed by the US Forest Service Missoula Fire Sciences Lab, this app enhances calculations with a 3D interactive map interface, real-time weather integration, and seamless fuels data assimilation. 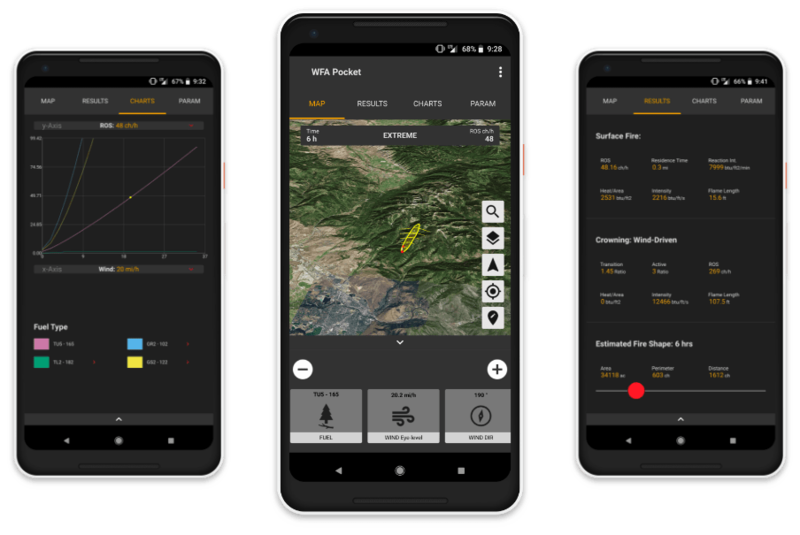 WFA Pocket provides the wildland fire community with a powerful analytical tool that is designed to be used in the field. The app works either connected or disconnected, providing outputs and results in a form that is readily understood and usable. WFA Pocket has been developed with ESRI AppStudio. 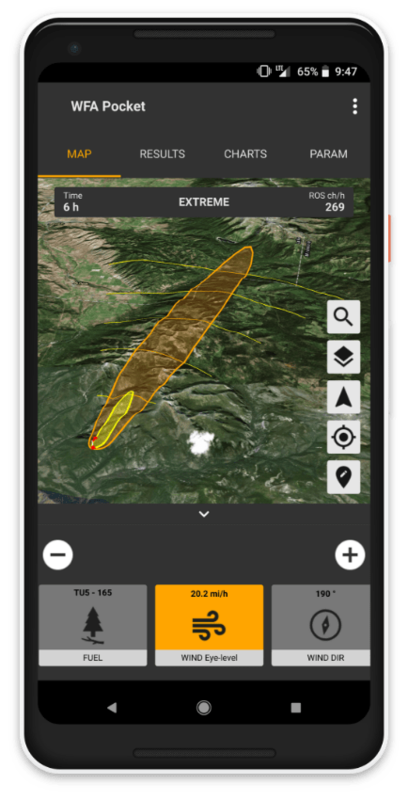 WFA Pocket uses concepts and formulas developed by the US Forest Service Missoula Fire Sciences Lab to perform fire behavior calculations. It is a culmination of the wonderful science made possible by the work of applied wildfire scientists and wildland firefighters across the world. 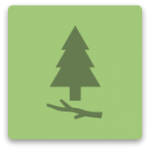 WFA Pocket compiles knowledge gained from the five plus decades of applied research on wildfire behavior, and is intended to serve as a companion to the Fire Behavior Field Reference Guide (PMS 437). Technosylva acknowledges the outstanding research conducted by the Missoula Fire Sciences Lab, the Rocky Mountain Research Station, and the many other scientists and practitioners who have pioneered much of this science. 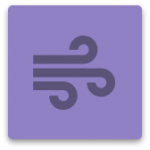 Easily enter data based on observed conditions and real-time fuels, wind, slope, moisture and temperature data. 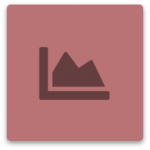 Outputs are calculated immediately and displayed on an interactive 3D map, supplemented by charts & tables. Easily modify inputs and parameters to quickly view revised outputs based on changing conditions. 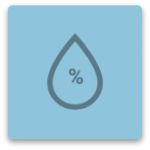 WFA Pocket provides instantaneous calculation for fire behavior outputs based on the inputs and parameters selected by the user. 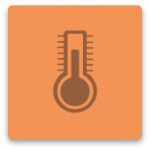 Real time integration to weather services and LANDFIRE fuels data allows users to define and modify inputs to best match observed conditions in-the-field. 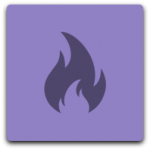 WFA Pocket fire behavior calculations and outputs are viewed in an intuitive 3D map interface allowing the user to interactively change parameters and see results on the map in real-time. 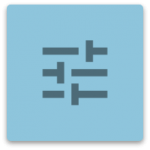 The app includes significant enhancements to the traditional calculators by providing 3D interactive mapping, real-time weather data integration, and fuels data assimilation. WFA Pocket has been developed to work across multiple devices, both mobile and desktop. Download WFA Pocket for Android, iOS, Windows, Mac and Linux operating systems. Android and iOS versions are available through the Google Play and Apple App stores. Use the links below to download the app for your device. Technosylva offers a range of subject matter expertise, consulting services and software development capabilities unparalleled for Wildfire Risk Analysis, Fire Protection Planning and Fire Incident Operations. Wildfire Analyst is software that provides real-time analysis of wildfire behavior and simulates the spread of wildfires. Behavior analysis and simulations are completed in seconds, providing results that afford timely decision making. 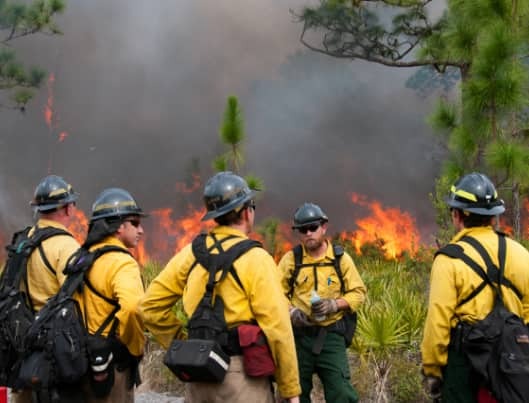 For wildland fire, time is of the essence, and Wildfire Analyst was specifically architected to support initial attack situations, giving the Fire Chief and Incident Commander the critical intelligence needed to support suppression and resource allocation. 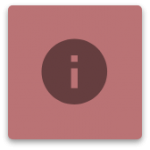 Please use the button below to access our feedback form and provide us with information on your experience with the WFA Pocket app. 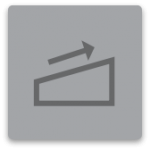 With your valuable feedback we will be able to regularly improve the application. 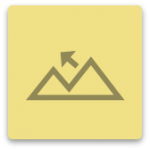 We welcome comments and suggestions about WFA Pocket so we can continue to improve the site and application. Please fill out the form below with any comments or questions or contact us directly at contact@technosylva.com. We look forward to hearing from you. Crafted in the USA & Spain. © 2018 Technosylva Inc. All rights reserved.